DOJ Home / DON’T Be My Valentine! Oregon Attorney General Ellen Rosenblum has a warning for people looking for love online – if an online love interest asks you for money, it’s probably a scam. Every year, the Oregon Department of Justice receives heartbreaking reports about “romance scammers” – especially around Valentine’s Day – who create fake profiles and eventually convince people to send money in the name of love. Some even make wedding plans with their victim before disappearing with the money. Several victims in Oregon have lost hundreds of thousands of dollars. Scamming “sweethearts” also like to say they are out of the country for business or military service. Don’t send money to “tide someone over” after an alleged mugging or robbery, and don’t do anyone a favor by making an online purchase or forwarding a package to another country. One request leads to another, and delays and disappointments will follow. In the end, the money will be gone – along with the person you thought was in love with you and would do anything for you. 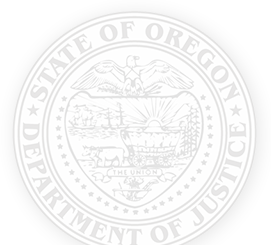 If you think you have fallen victim to a romance scam, contact the Oregon Department of Justice online at www.oregonconsumer.gov or call 1-877-877-9392.